When it is summertime I am always looking for meals to make that don’t heat up my kitchen. Not that it gets that hot here very often, but once in a while it can sneak up on us so I want to be prepared when it does. So when I ran across a recipe for Beer Crockpot Chicken on My Daily Dish my curiosity was peaked. I mean what is not to like about the idea? 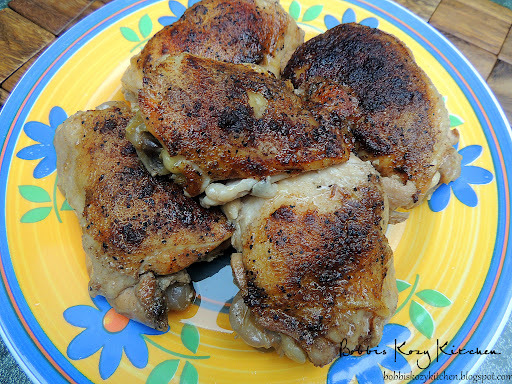 Beer + chicken + crockpot + cheap = dang good idea in my book! I had it stashed in my “going to make someday” file when I had one of those days. You know what I mean. I call them manic Mondays but really they hit anytime they want. I had been working on blog posts and recipes all day when I looked up at the clock and realized UH OH it is 1:00 and I haven’t planned dinner! I rushed out to the fridge, no meat to be found, thought quickly about a salad but Kevin would shoot me (just kidding folks no need to call 911) if I sat a salad in front of him and called it dinner. The I thought about the beer crockpot chicken recipe. I vaguely remembered something about the fact that you could use frozen chicken and it would still be ready in 4 hours! No way right? Yes way…..I am serious! Fast forward to one of my late night, unable to sleep, thinking about food sessions. You know my love for Mexican food so I thought why not use the seasonings I use for my Mexican style chicken recipes. DUH what took me so long to think of that? So I took a trip to the store and picked up a 6 pack of a dark Mexican beer, a pack of chicken thighs, and some corn to grill for a side dish. I was excited to give my recipe a try. Kevin came home after it had been in the cooker for about 2 1/2 hours and immediately asked what smelled so good. Seriously, the smell was amazing! I couldn’t wait for it to finish cooking. Finally 4 hours were up and we dove in to the chicken like we hadn’t eaten in a week. I don’t think we even left the kitchen, we just stood at the island and scarfed it down. Kevin’s only complaint? Was that I hadn’t made more! As I said, I used frozen thighs the first time and they were perfectly cooked on high for 4 hours. Depending on your cooker I would say 4 to 6 hours would be fine on high or 8 to 10 hours on low. I cooked the thawed chicken for 4 hours on high and it was falling off the bone, so I would say no more than 4 hours if your chicken is fresh and 7 to 8 at the most on low. Whether you make the original recipe, or my Mexican version, I know you will love it and keep it as a “go to” recipe for a nice stress free week night meal. Mix all of the seasonings in a small bowl. 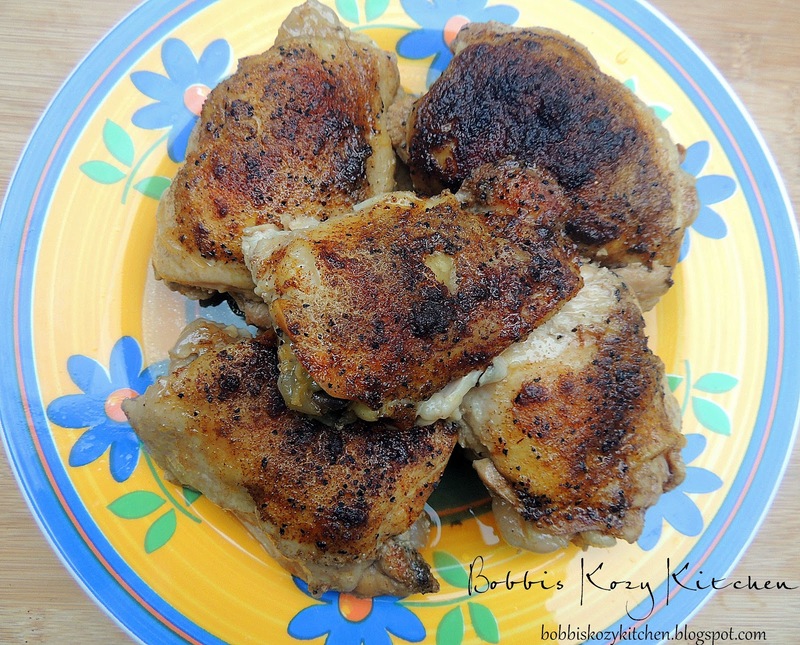 Sprinkle each thigh with the seasoning blend and place them in the cooker. Pour in the beer (I pour it down the side so I don’t rinse the seasoning off the top of the chicken. I just think it is pretty with the seasoning on it) cover the cooker and set your time.